The Fidella® Fly Tai is our iconic carrier and a combination of baby sling and comfort carrier. 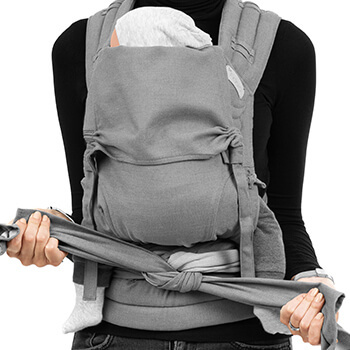 The cross-over carrier is particularly popular with families who love babywearing. The wrap-like carrier scores with its flexibility and easy handling for different types of caregivers. 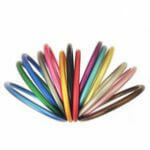 The shoulder strands do not need to be adjusted separately and adapt easily to any wearer when tying. 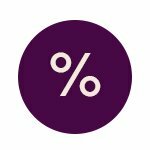 This means that the baby can be carried at any time by any member of the family - whether mom, dad, sibling or grandparents. The ergonomic design of the Fidella® Fly Tai adjusts to you and adapts perfectly to your growing child. Whether the baby or toddler variant, determined by the size of your child. Our Fidella® Fly Tai is usable from birth up to preschool age. The wrap-like shoulder strands are padded and offer you a variety of binding variations that relieve your shoulders and make the second skin feel perfect. Maximum flexibility with the highest possible comfort. 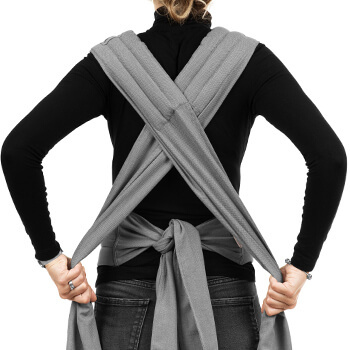 The sling carrier can be carried in three ergonomic positions: in front of the stomach, on the back or on the hips. One of the Best Carriers on the Market! My wife and I have used several different styles of carrier, and this carrier is one of our favorites. The Fly-tai combines the confidence of a high-quality woven wrap and the comfort of a soft-body carrier with buckles. The fabric is soft, and the print is perfect. Happy baby, happy mama and happy daddy on this purchase! The Fly Tai is the only Mei Tai version that I like to wear. All others cut in your shoulders. Or/And are not adjustable enough for your baby. 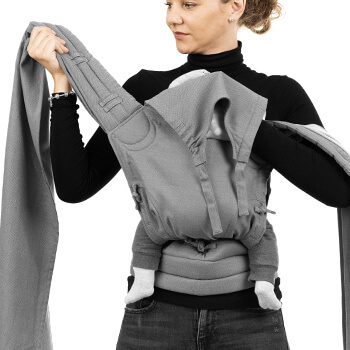 Fidellas carriers are very good in adjusting for your baby: widht for the perfect M-position, lenght for your babys body and neckwidth for the head. Super! With these padded shoudlerstraps you get no welts. And easy in use because of the different way the straps are finished. So cool! Just got it yesterday. Arrived quickly to the US. The pattern is one my hubby will definitely rock for adventures with the baby. Love that its totally adjustable. Definitely recommend! My son is 10.5 months old. This carrier is even better in person, so soft with plenty of support, and extra sleepy dust! One of the best things Ive bought for my son. Really easy and the little guy loves it. Usually it tales a long time to help him sleep, even when he is in my arms but with this he is happy and falls asleep in under 5 minutes.